The Confidence Fitness Magnetic Manual Treadmill is an entry level budget-friendly treadmill that gives you all the most basic of options that can be expected of a treadmill priced at Check Price - $$. In the following section, we’ll see just what exactly is it that this model of the Confidence achieves. 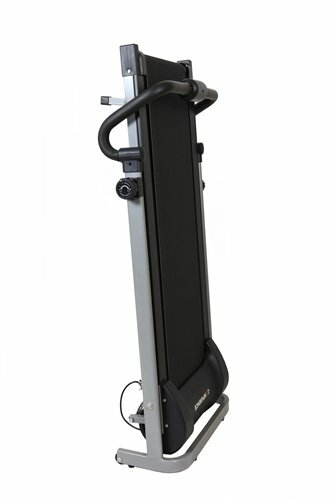 The Confidence Fitness Magnetic Manual Treadmill measures at 47 x 19.1 x 48 inches of length, width, and height respectively. It is also capable of being folded; and when it does so, the treadmill has dimensions of 48 inches height and 7.2 inches diameter. Transportation wheels fixed to its bottom signify that it will be easy to move the treadmill from one room to the other when you are not working out. This helps you manage storage space and wheel out the treadmill if your room is not big enough to accommodate it. It’s running belt measures at 15 x 40.2 inches which is wide enough to allow users with wide strides to be able to exercise on this machine without having to constrain their running action. The Confidence Fitness Magnetic Manual Treadmill does come with an LED display but it is a very simplistic and skeletal one that tracks elapsed time, distance covered, calories burned, and total speed. Not all these readings are shown together and one must continuously press the button in order to switch from one reading to the next. The treadmill is made of steel frame. It also comes with sleek handlebars that you can latch on to as you exercise because it adds a touch of extra safety and balance to your workout. Since the treadmill is very inexpensive, it does not come with any installed motor and so the running belt moves only with the momentum of your strides. The treadmill is marketed specifically as having smooth magnetic resistance which has eight adjustable levels to best tailor your workout needs. 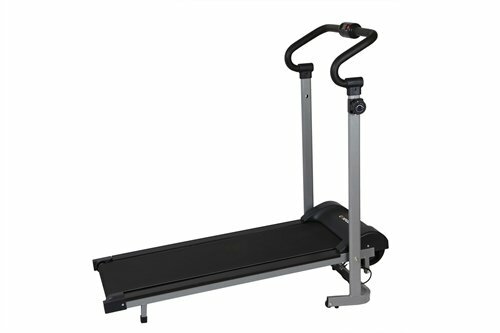 The treadmill itself weighs a light 46.2 pounds making it feathery light in terms of treadmills. It can support a weight of maximum 220 pounds at most, making it a little problematic because we are unsure if the treadmill will be able to work for long if anyone close to or a little above 200 pounds were to use it. It also has a natural incline angle to make sure that there is a degree of intensity to your workout. Unfortunately, the angle of the slope is not adjustable and there will be days where you’ll feel less active and won’t be willing to embark on tougher workouts but would be unable to change the incline angle for easier training. The belt has a tendency to oscillate during workouts. In retrospect, the Confidence Fitness Magnetic Manual Treadmill is a very basic entry level treadmill which can admittedly be good if your sole purpose for its use is only for walking and light jogging. The treadmill does not come with a plethora of features but it sure does cost less and within the context of its price proves to be a well-rounded machine. The treadmill is super easy to assemble. First time users will find a tad bit difficulty in getting the running belt to tighten but it’s suggested that they walk for a but on the belt and keep it moving before getting off and making adjustments. Still, for its flaws, the Confidence Fitness Magnetic Manual Treadmill is still a very good treadmill with its highlight being its affordable price. The only qualm we have with the machine is its default and non adjustable incline option. If you’re one who prioritizes variety in incline angles then this machine won’t serve you well. But if you’re a newbie user looking to have a good treadmill in the house for a bargain price, we highly recommend this machine. 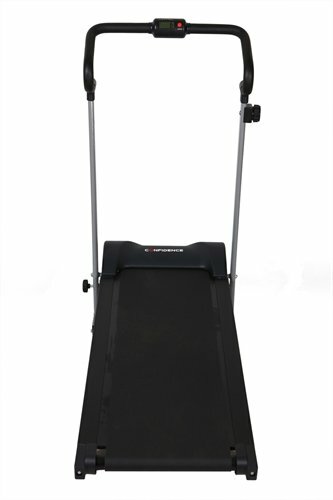 With an incline and 8 levels of magnetic resistance, this model is great if you want to buy an entry level treadmill that's suited for walking and light jogging purposes.